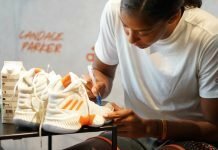 NEW YORK, June 29, 2016 – The WNBA announced today the launch of the league’s first-ever emojis, which will feature the 20 greatest and most influential players in its history. In celebration of its landmark 20th season, the WNBA Top 20@20 presented by Verizon was unveiled June 21 on ESPN’s SportsCenter: Face-to-Face with Hannah Storm. 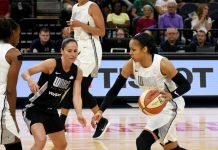 The list includes nine current players: Seimone Augustus, Sue Bird, Swin Cash, Tamika Catchings, Maya Moore, Candace Parker, Cappie Pondexter, Diana Taurasi and Lindsay Whalen; as well as 11 former players: Cynthia Cooper, Yolanda Griffith, Becky Hammon, Lauren Jackson, Lisa Leslie, Deanna Nolan, Ticha Penicheiro, Katie Smith, Sheryl Swoopes, Tina Thompson and Teresa Weatherspoon. Fans can now access the WNBA emojis by downloading the new NBAmoji App, available for free on the App Store and Google Play. 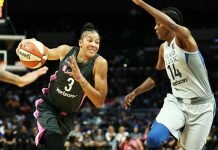 The WNBA emojis can be shared across social media and messaging apps where the copying and pasting of images and GIFs is supported.